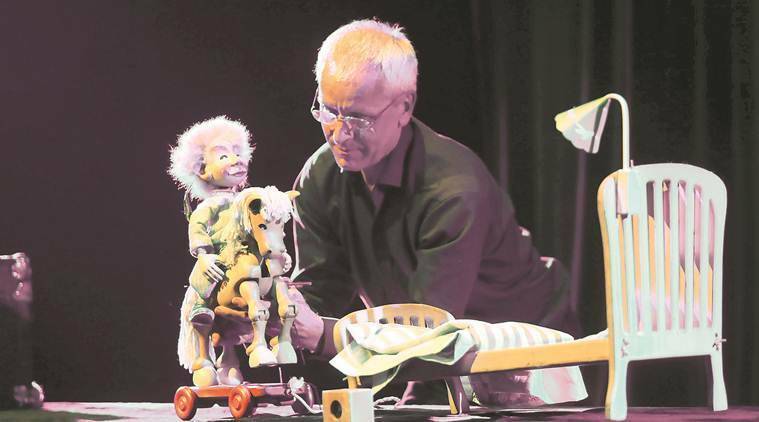 When puppeteer Bernd Ogrodnik ended his 40-minute-long puppet show titled ‘Metamorphosis’, as part of the seventh Ishara International Puppet Festival in Chandigarh, the 57-year-old from Iceland called his wife Hildur M Jonsdottir on stage. The space was already swarming with children, who, just after a mesmerising show, wanted to pose for photographs with Ogrodnik. The couple opened their ‘magical’ trunk once again, to give the children another dazzling experience as encore. “Puppets also have emotions like us,” said Ogrodnik to the children, who didn’t seem to have enough. 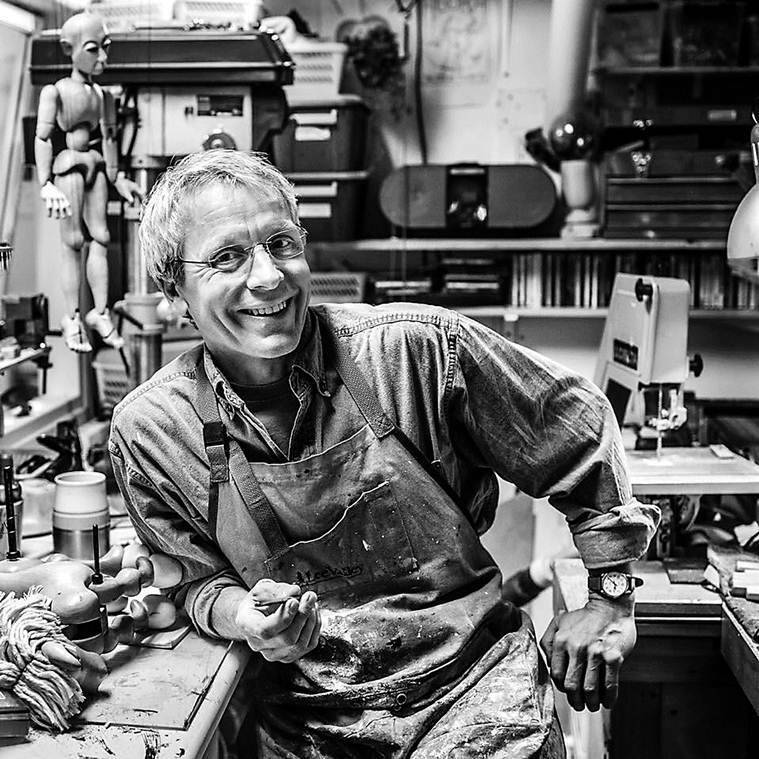 For someone who has performed more than 7,500 puppet shows in more than 50 countries, Ogrodnik has spent more than half his life in the world of puppets and believes that the art depends on thinking with your heart and practicing it. “I believe that the reason to be a puppeteer can always be found in one’s heart. The key to becoming one is to keep practicing again,” said Ogrodnik, who believes that one has to have the knowledge of filtering one’s thoughts to create and portray puppets. Puppetry has always been understood as an interesting combination of technique and emotions. According to Ogrodnik, it is like learning the sitar. “You learn the technique of how to play the instrument first. That’s when you create music. There are calculated mathematical techniques and engineered thoughts behind how puppets work and sometimes the technique can be complicated and advanced. It’s technology combined with emotions and audience. A good puppeteer manipulates the puppet in a way that the audience can understand the story. When the audience finally believes, it helps to bring the puppet alive on stage,” shared Ogrodnik, who performed in India for the first time. Ogrodnik grew up in Germany, where he first saw a street puppet and traditional marionettes shows. The artistic director and co-founder of Icelandic Center for Puppetry Arts, he is also the master puppeteer for the National Theater of Iceland at Reykjavik, and has also done a course in western classical music. Ogrodnik became a professional puppeteer in 1986 and made his own puppets and mechanical tools needed to create them. While his initial years were spent working for television and movies, Ogrodnik also turned his attention to theatre in 1995 and worked as an intern in puppet festivals in Iceland and other countries in Europe before forming his own company, ‘Worlds of Puppets’ with his wife Jonsdottir. “I was fascinated by the worlds in small spaces and the idea of teddy bears and dolls coming alive and making puppets walk with the use of strings. When I was 25, I started this as a profession and my first show was a collection of short stories, similar to what we performed here, and it brought back so many fond memories. The ideas have evolved, but the underlying theme of our shows is always compassion, be it in Europe or Asia,” added Ogrodnik. Jonsdottir, who is from Ireland, manages the company and the lighting of the shows. “I guess puppets are in my karma. Ireland is a small country and there are many puppeteers. My best friend and her mother were puppeteers and then I met Ogrodnik. My love for puppets has been constant,” said Jonsdottir. rotated her head mechanically,” explained Ogrodnik. While the art of puppetry in India has seen popularity in states like Rajasthan and Kerala, the couple believes that it needs to adapt to the needs of the audience. The main challenge, he reflects, is to keep the tradition alive and innovate new forms, for which one needs to take the help of technological advancements, as it creates new ways and audiences. When you bring that, the audience is stunned and they want to see more,” said Ogrodnik. Young artists, according to Jonsdottir, need to adapt to changes and take the art forward. “In Iceland, we have many universities offering courses in puppetry and financial grants to learn the art and conduct workshops. Puppetry is also part of medical therapies in the country,” she added. Before they pack their puppets in the trunk, Ogrodnik’s advice to puppeteers is to always observe. “How they move, their facial expressions, apart from reading books and listening to various kinds of music. We have to bring somebody alive on the stage and these are the ways one can be successful,” concluded Ogrodnik.